The American Radio History site now has several scans of Mr. Morgan's radio books, see the Hobbyist bookshelf for pdf files. 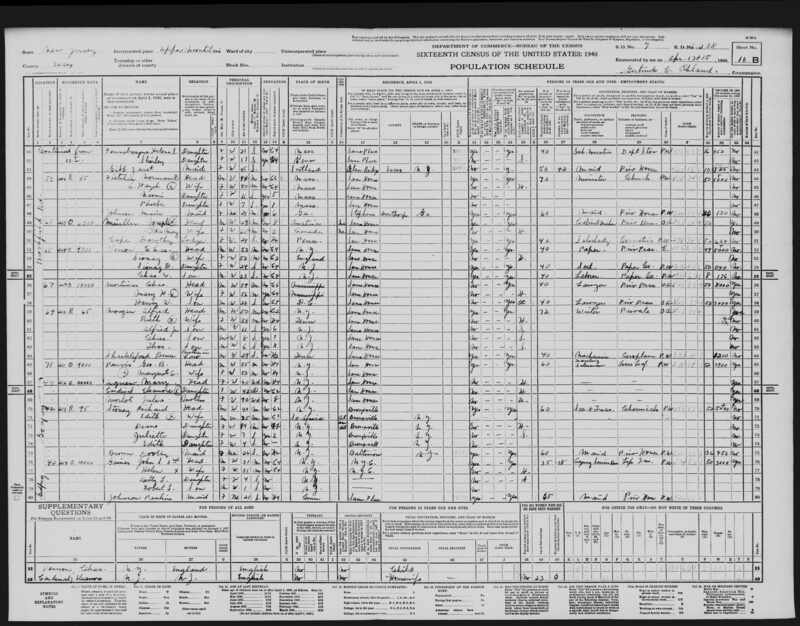 Click on the thumbnail to the left for the 1940 Census page for Mr. Morgan and his family. 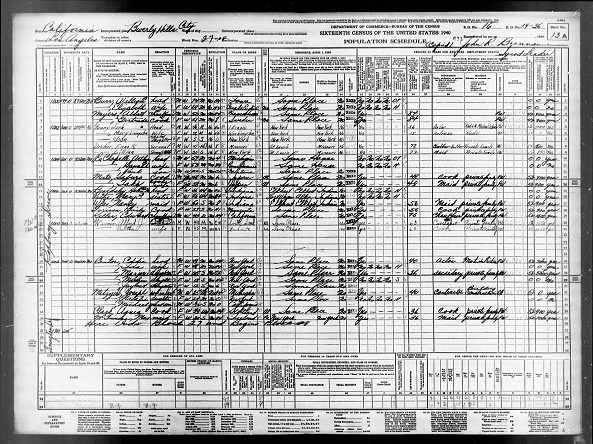 Starting on line 59 it lists Mr. Morgan, his wife, three sons and his brother in law - sounds like a modern day sitcom, except that in this case the Dad was smart ! The family lived at 69 Brookfield Road in Upper Montclair, New Jersey. 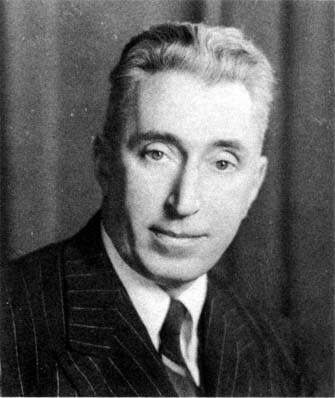 Mr. Morgan was 50 years old in 1940. The Boy Electrician; A Pet Book for Boys and Girls; A First Electrical Book for Boys; The Boys' First Book of Radio and Electronics; Etc. I was born in Brooklyn, New York, before it became part of New York City. Some of the streetcars were drawn by horses and there were no automobiles. Streets paved with cobblestones and vacant lots were the children's playgrounds in those days. My father owned a glass factory and it was fun to visit there and watch the men blowing lamp chimneys and bottles. The factory was near Erie Basin and I watched many famous ships go into drydock for repairs, including' several of the United States men-of-war which fought in the Spanish-American War. When I was eight years old my family moved to Upper Montclair, New Jersey, a suburban country village. Here a boy's activities were very different from those in the city and very different from what they are today. There were ponds and a canal near by which provided swimming, fishing and skating. Some boys hunted rabbits, squirrels and ducks with air rifles or twentytwo caliber rifles. I was very much interested in science but there were no books for young people about chemistry, electricity, etc. I tried to read and understand grown-up people's books about engineering and science and decided that when I grew older I would write books which young people could understand. In my search for information I visited many famous scientists and engineers and asked them questions, among them Thomas A. Edison, Nikola Tesla and Santos-Dumont. I graduated from the Montclair High School and taught physics and chemistry as a paid student instructor while I was still a senior at high school. I attended the Massachusetts Institute of Technology. I started writing books and magazine articles while at college in order to earn money. I have written more than fifty books and a couple of hundred magazine articles. An electrical book for boys written nearly fifty years ago still sells well. Writing was not my only activity after leaving college. For many years I also manufactured electronic and electrical equipment. When I am not writing or illustrating my books, I enjoy raising flowers in the back yard, and week ends on my small cruiser. My wife was Ruth W. Shackleford and we have three sons, now grown up and married. One is a doctor, one a salesman, and the third an officer in the United States Air Force. More years ago than I care to remember, while I was still a boy in grammar-school, I became intensely interested in a new wonder, a scientific infant then known as wireless telegraphy. To be exact, it was in 1903. This was only two years after a young scientist named Guglielmo Marconi had astonished the world by sending telegraph signals across the Atlantic Ocean between Wales and Nova Scotia without any interconnecting wire or cable. My interest in the new art was awakened principally by reading articles about it in The Scientific American. By reading and experimenting, I gleaned enough information to build my own wireless telegraph set. With two binding posts, two brass rods, a glass tube, and some filings from the edge of a dime, I made a "coherer." From an old electric door-bell I made a "tapper." An old telephone bell was changed into a sensitive "relay." These three instruments, properly connected and adjusted, composed the receiver. A telegraph key, a "jump-spark coil," and a spark gap made up the transmitter. The spark gap consisted of two pieces of brass rod with the ends separated about 1/32 of an inch. The "jump spark coil" was an old telephone induction coil which I fitted with an interrupter and a condenser. It produced a short, hot spark which jumped about 3/32 of an inch, and was I proud of it! This may seem a collection of rough and crude apparatus, but it embodied the same principles utilized in some of the commercial equipment in use at that time. The battery, too, was home-made. Four carbon rods and four zinc rods suspended in fruit jars containing a mixture of sulpburic acid, bichromate of potash and water, generated current for the coil. I had a great deal of trouble with my parents over this battery-wherever a drop of the terrific liquid contained in the jars fell on rug or clothing, it ate a hole. The coherer and spark coil were endured with suspicion, but the battery soon became a distinct social outcast. However, my "wireless” was a success. It worked, and I was happy. With it, I could send messages through space for 150 to 200 feet. Some people who saw this crude and mysterious apparatus in operation were intelligently interested. Others were amazed and skeptical. Some thought it a fake, and still others considered that I was quite "nutty" to fool with and believe in such a preposterous thing as telegraphing without wires. You will find that there are still these four different kinds of people in the world. Wireless telegraphy was developing rapidly in those days. Coherers were soon replaced by microphonic "detectors" which employed a telephone receiver and were much more sensitive. So I built several kinds of microphonic detectors. I learned how to build an "electrolytic detector during a visit to the wireless telegraph station, called PT, at the Brooklyn Navy Yard. I hurried home from that visit and set to work. First, I rewound a telephone receiver with fine wire (No. 40 B.S.) to make it more sensitive, and built a "tuning coil" by winding some wire on a piece of wooden curtain pole. Then, with some nitric acid and Wollaston wire (silvercoated platinum wire .001 of an inch in diameter) purchased from Eimer and Amend, I built an electrolytic detector. This was accomplished by breaking a hole in an electric light bulb, poking out the filament and then partly filling the bulb with dilute nitric acid. A piece of Wollaston wire was attached to a fine screw and arranged so that the end dipped in the acid solution. I was extremely happy when I found that I could receive signals from the Brooklyn Navy Yard at my home in Montclair, New Jersey, with this new equipment. At that time boys actively interested in wireless telegraphy probably numbered less than a baker's dozen. They were scattered about the country but were destined to grow into that intrepid band called "hams and "amateurs"-now nearly 100,000 strong. I visited the Children's Museum in Brooklyn, where an unusual young woman, Miss Mary Day Lee, a member of the Museum staff . not only encouraged boys to experiment with electricity and wireless telegraphy but actually was able to aid and assist them. My hat is still off to the young woman who could discuss with you the fine points of winding a spark coil. There at the Museum I also met Austen M. Curtiss and Lloyd Espenschied, boys of my own age and two of Brooklyn's four known "wireless amateurs” at that time. Wireless telegraphy was growing and changing rapidly in those days. More and more ships were being equipped with apparatus and more land stations built. There was a United Wireless Telegraph Company station at 42 Broadway in New York City, a Marconi station at Sea Gate, near Coney Island, N. Y. Crystal detectors using Carborundum or silicon replaced other less sensitive detectors. Variable condensers for tuning came into use and with all this, a new crop of amateurs, equipped not only to receive but to crash and splutter every evening with transmitters consisting of home-made spark coils and transformers that no one could tune out. Each one tried to see who could make the most noise. By this time there were many thousands of amateurs scattered about this country. The growth of wireless telegraphy from this point on is a story too long to recite here. So we will skip to that time just before the World War when that marvelous device called the three-element vacuum tube was coming into wide use. Wireless had grown up. It had become radio. But so had the amateurs grown up. Since the earliest days of wireless there had existed this earnest band of experimenters of varying capabilities. Some were amateurs in the sense that wireless to them was only a hobby. They were attracted by the novelty and interest of signahng to each other and cared little about scientific investigation. On the other hand, there were many who had a standard of knowledge equal to that of professional radio men. During the war, the activities of the amateurs necessarily ceased. Many of them lent their knowledge and skill to their country. Some of the most able and proficient instructors and operators in the Army and Navy were ex-amateurs. After the war, amateurs using very small power, by ingenuity, resource and perseverance, developed shortwave radio transmission and reception to such a degree that it proved to be a far more dependable method of long-distance communication than the long waves used by conunercial companies. For many years, the professional radio engineer neglected short waves only to have it shown to him that there was an unknown set of phenomena of extreme usefulness at his very door and that it had been first found and developed by "amateurs." All these years, while radio was growing up, so was I. I became a manufacturer of radio apparatus. I manufactured both amateur and commercial equipment, and apparatus for the United States Army and Navy. I pioneered in broadcasting. But all this time I still remained an amateur at heart, a "kid" with a spark coil and a crystal detector. I have never lost a sense of awe for radio science or a fellow-feeling with the lad who likes to putter with antennae and oscillators. There are many scientific and engineering books about radio. There are many books for young men who want to "get on the air" with a modem transmitter and communications receiver. But the lad who is a rank beginner, who wishes to build a crystal receiver and a one- or two-tube set has been neglected. It is for him that I have written this book.